This week, I’m launching the third book in my Planning to the ‘Nth series. 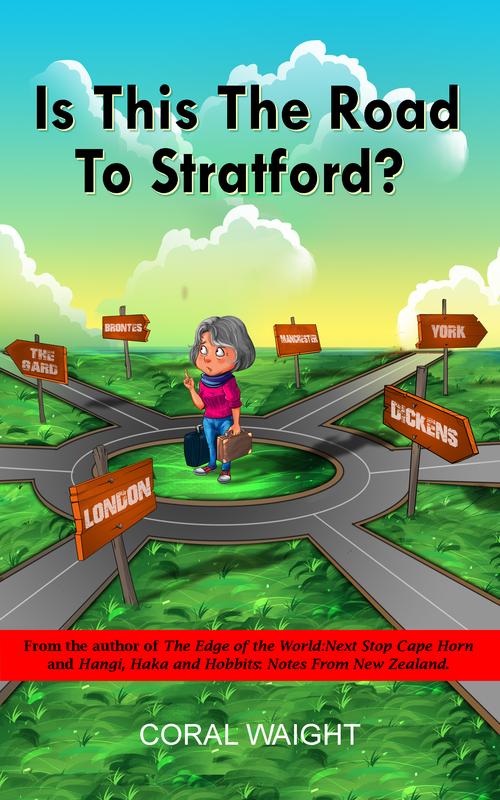 Is This the Road to Stratford? describes my trip to England in 2011. Arriving in Manchester, I crossed by train to York, where I picked up a particularly malevolent rental car and, bewildered by indecipherable road signs and massive, terrifying roundabouts, wound my way down to Oxford. From there, having with great relief disposed of the car, I caught the train to London. The book is now available as an ebook from Amazon. To check it out, click here. I had decided long ago, while watching the 70s version of Poldark, that I would one day walk along some Cornwall cliffs. On my first morning in Port Isaac, I had my chance. Gazing up at the cliff, looming over the town, I took a deep breath and headed up Roscarrock Hill past the Doc’s surgery and onto the track.